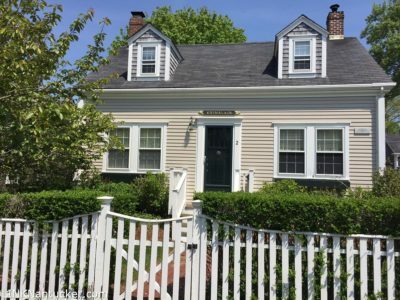 Traditional one and three quarter story Cape Cod dwelling with two gable dormers on the front. Property features a first floor master bedroom, a fenced-in yard with mature landscaping, and a freestanding garage. This bright, warm and welcoming home, situated on a side street just off upper Main Street, is a wonderful opportunity for buyers who seek to be in town. Lower Level Full, unfinished basement for storage and mechanicals. Interior stairs to the the house and bulkhead with stairs to the exterior.